Views and comments are invited and welcomed and the closing date for these is Friday 21st June 2013. ‘If no major objections are received’, works are planned to start in July/August 2013 and will last 9-12 months. Thank you for your email of 5th June. 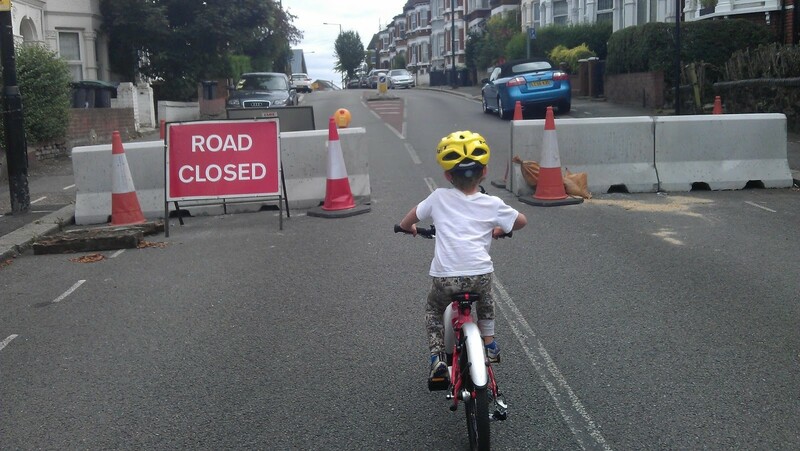 The report of consultation on this scheme confirmed:- “Cyclists do not regard either Green Lanes or Wood Green as cycle friendly, but Green Lanes is seen as offering a more adverse cycling environment than Wood Green”. Unfortunately nothing, apart from new cycle parking, is included in the proposals to address this. 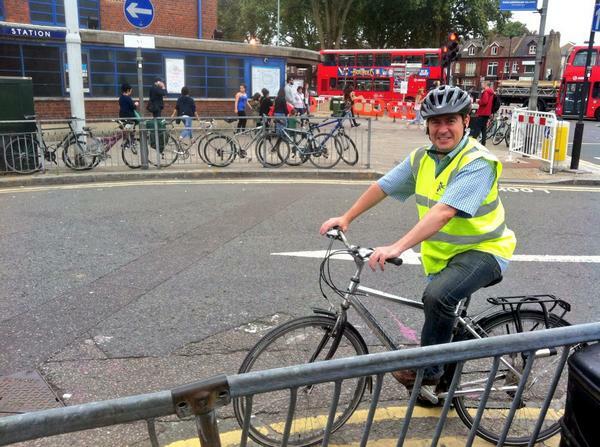 The consultation also confirms 9% of trips to the Green Lanes centre are by bicycle, compared with 10% by car. The available car parking is already fully used and there is no scope for increased provision, so encouraging cycle use is a “near market” which can benefit local shops, who of course are in competition with supermarkets, with large free car parks. 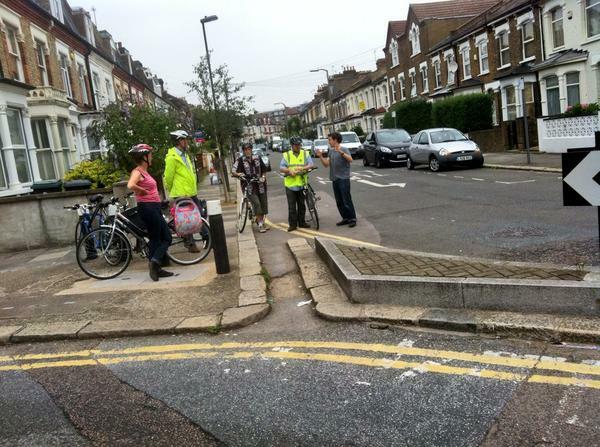 Haringey Cycling Campaign participated in the initial consultation on this scheme and proposed improving cycle access by ending one-way traffic restrictions for cyclists on local roads. Most of the “Ladder” roads are presently one-way. As many are long roads with a considerable gradient, this discourages cycle use. 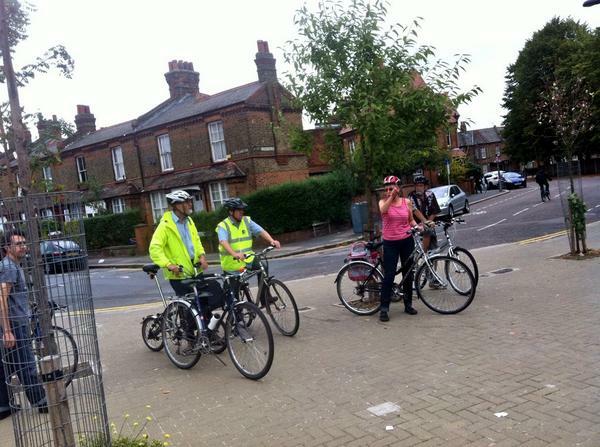 There are also recommended “London Cycling Guide” cycle routes converging at the end of St Annes’s Road. As illustrated in the Scheme Overview cover, cyclists use this route and cut through to Green Lanes in front the “Salisbury” pub. HCC suggested this be allowed for in the scheme, but there is no indication of dropped kerbs, or shared use, to allow this. There is also no indication of how cyclists are to access the one existing contra flow cycle lane at Colina Rd. Clarification of the proposed work here and at the St Anne’s Rd junction is essential. Please see below an extract from the TfL London Cycling Guide, showing local routes. No doubt one reason for the ending one-way restrictions not being included in the proposals, is the consultation finding that a majority of interviewees were not in favor of cycle contra flow. This very much depended on how the question was asked. 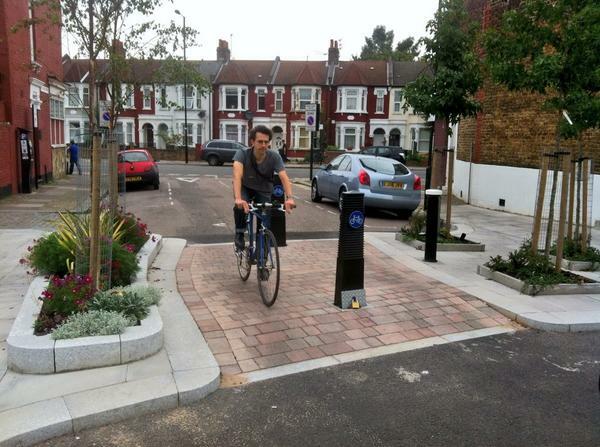 Cycle contra flow is a relatively new concept in this country, with very few examples in Haringey. As such, many people might think it sounded unsafe and would instinctively be worried about it. If it the question had been put in the context of a strategy for environmental improvement and reducing traffic congestion, supported by illustrations from Denmark and Holland, I am sure the results would have been different. Simpler ways of providing cycle contra-flow with fewer signs and markings were enabled by amendments to the regulations introduced by the DfT in 2012. Pro-cycling boroughs such as City of London and LB Camden are already taking advantage of this by implementing cycle contra-flow as standard on their one-way streets. Haringey will not compare favourably with these boroughs if they do not take this opportunity do the same. At the very least future ending of one-way restrictions should be allowed for in the current work, so HCC propose that all the new road narrowings have an adequate width for cycle contra flow (4.5m). In this way the work would be “future proofed”. The plans note that existing road markings not shown, are to remain, implying the existing bus lane is to be retained. HCC welcomes this (the overview could be clearer on this point). In addition, although pavement widening is mentioned under “General upgrade and renewal” it is understood there is to be no realignment of kerbs to the main thoroughfare. This opens up the possibility of a northbound 2m width cyle lane to operate at the present times when car parking is not permitted. This would be a great benefit to cyclists and with a good width slower cyclists will not be intimidated and are more likely to “stop and shop”.